After having made great country music since 1958, Waylon Jennings was one of the central figures (along with Willie Nelson) of the self-dubbed “Outlaws” movement that saved country music in the 70s. At that time Nashville smugly controlled commercial country music and dictated a pop-inflected sound using its sterile studio musicians and strings. Waylon, Willie, Kris Kristofferson, Johnny Cash, Merle Haggard and few others led the charge to overcome the dictates of Nashville and take back Real Country music. In so doing, Waylon re-introduced stripped-down, Telecaster-telecasting, honky-tonk country music, and won back the hearts of those with hearts for real country music, and gave needed authenticity and renewal to the genre. 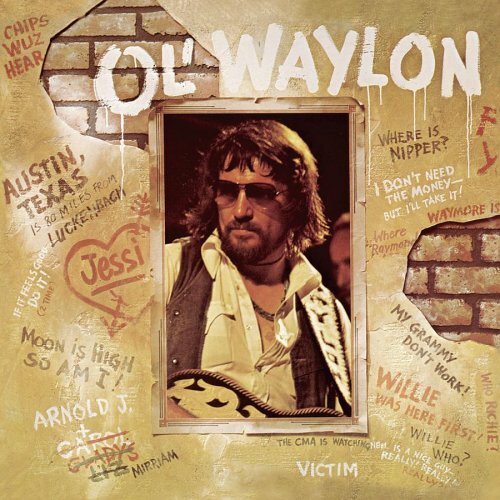 One of our all-time country favorites is Waylon’s “Luchenbach, Texas (Back to the Basics of Love)” with assist from Willie.